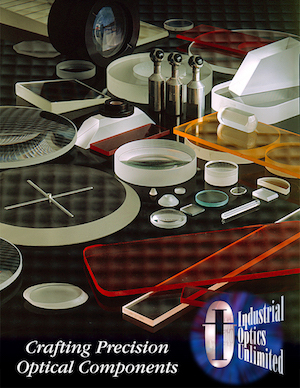 Industrial Optics is proud to be a supplier of USA made optics to a large variety of industries. We strive to build long term relationships with all of our clients by providing exceptional customer service while supplying high quality optics at a competitive and fair price. IOU Optics provides American Made optics to many industries including defense, security and military applications. By having our own in-house fabrication system, we’re able to meet the critical needs of the defense industry in the private sector, with sub-contractors and for the military. Our precision made optical lenses and optic products are used in Identity Solutions, Surveillance, Weapon Lighting, Gun Scopes and Night Vision, etc. Our wide range of optical services also extends to providing optics for the Aerospace industry, Solar Industry, Research and Development, Semi-Conductor, Biomedical and Life Sciences industries and beyond. Many companies prefer to buy USA Made optics and they require stringent specifications. With IOU Optics, you can be assured of precision made optics with the highest quality of materials that will meet the needs of your industry. We encourage you to call us at IOU Optics for all of your optical needs. (530) 365-1972. We’ll make your business our priority and provide you with excellence in optical production.